No wonder it is called the flow of water among theprocesses that want to watch without stopping. The water surface focuses a special magnetism that attracts human, stunning him. 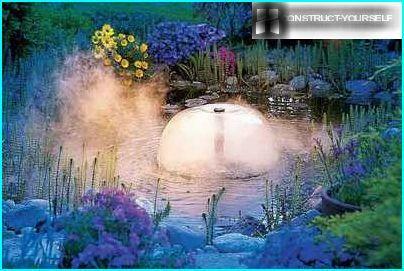 Therefore ponds in landscape design plays such a large role. 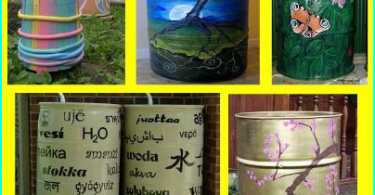 Right to build and equip the pond - a special art. 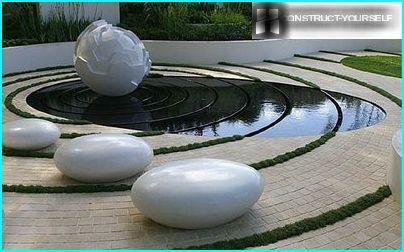 Design decorative pond depends on stylistic solutions of the garden, in which it is located. 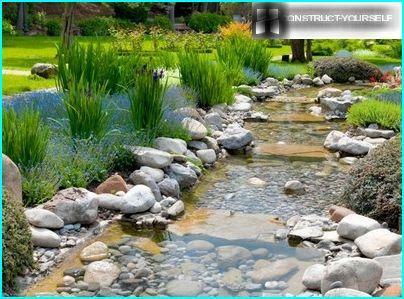 Do not forget that the garden, structures and buildings on the site, as well as applied in its territory landscaping techniques need to be in harmony with each other. A variety of garden styles are many, but all of this diversity can be divided into two groups: regular and landscaped gardens. 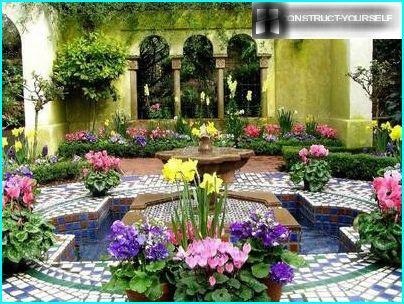 Regular gardens have underlinedgeometrically-correct layout. They are characterized by symmetry, that natural environment is not as common. 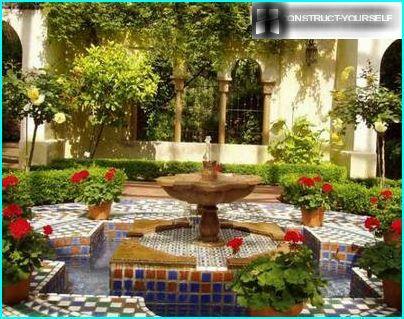 Examples of regular gardens can be considered a classic Italian, French, Arab gardens. 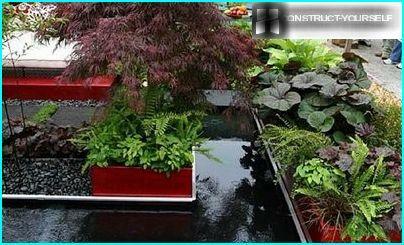 In general, the style of garden ponds and implemented. 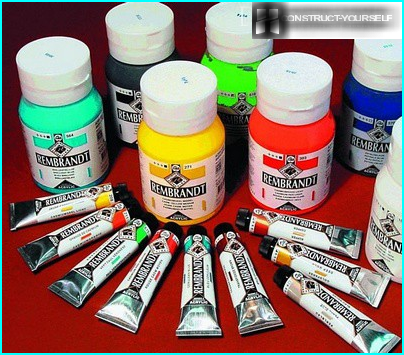 The most commonly used strict outlines, subordinate to the rules of geometry. 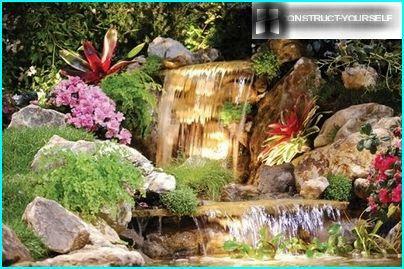 They can coexist classic fountains, cascades and canals ideal verified the correct form. 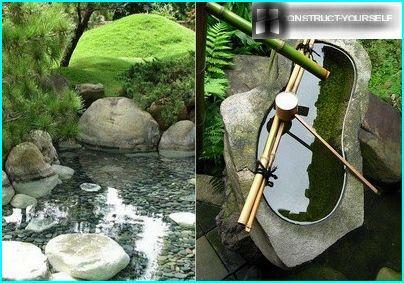 A feature of such ponds can be considered that they can be at ground level or elevated above the surface of the bowl. Water in the Arab lands - the very limitedresource that are not so wasteful, both in Europe. Sure, water is an asset. As its greatest treasure is placed in some semblance of the box - ponds in Muslim gardens have a beautiful geometric shape, side by side with neat fountains. By the way, fountains, usually run by gravity. Waters is equipped with a complex system of pipes, which are subordinated to a single goal: saving and competent distribution of water. In Russia, the Muslim style closest to the popular Spanish-mavritasky. For its realization does not need a large area. Suffice it to a minimum of space in front of the house. An example of the French style can be called Versaillesor Peterhof park, if we turn to the national classics. The water in these parks represented framed strict geometric forms. Underlined outlines ponds, magnificent sculptures, fountains, cascades and fountains graceful pristennye - signs of French style. To such a pond can be assessed in all its glory, you need a vast open space. Mini-pond in the Italian style, oftenlocated in the front area, located in front of the main entrance to the house. However, the welcome and reservoirs as part of the patio. 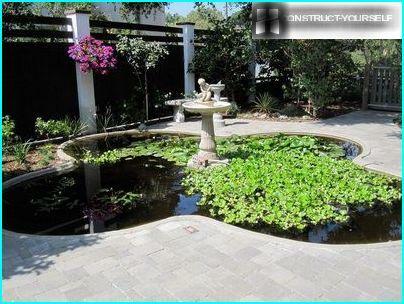 A small pond with a fountain and a TV and beautify the site, and the air will cool in the heat period. At the peak of popularity in Europe is very shallowponds perfect geometric shape. Their main goal - to serve in the garden a kind of mirror reflecting the surrounding reality in the form of the sky and a carefully chosen specifically for this body of water vegetation. Antipode consider regular garden landscape,which is particularly loved by our compatriots. The proximity to nature - natural habitat and it poses no rules - what we often used to implement on their garden plots. Favorite Russians pond design is usually close to its natural form. Such water bodies can be seen in Japanese andChinese style, in classic English gardens, landscaped gardens German (Naturegarten). Loose shape, subject only to the natural landscape of the area, have their own charm. They coexist babbling brooks, waterfalls living their particular life. The garden becomes a well-groomed, but a natural area of ​​nature. Chinese Garden, as a rule, occupies a vastterritory, and several ponds in it. If the garden is small, it fits him and the pond with its size. But the presence of stylized bridges of stone or wood through a body of water is considered a must. Ponds in China are not empty. Not only that, they are surrounded by lush vegetation, not less active life boils and in the reservoir, and on its surface. 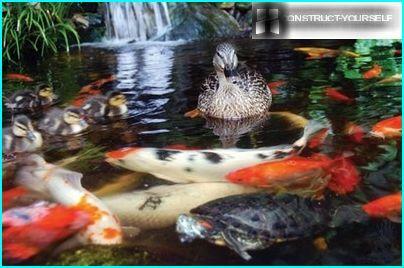 In water, live goldfish or koi, and the surface may have caught the mandarin ducks. Cute garden furniture in a traditional style completes the picture. Water is present in every Japanese gardenbecause the island of Japan, and so there are problems with the land. Private gardens here are generally small. A full pool they replace the stone basins with water. Sometimes the place is so small that the role of the reservoir in the garden takes the stone bowl with water. It's called tsukubai and is designed as a drum for washing hands in the tea ceremony. As a rule, the capacity of a special lantern light. At the edge of a pond of the Japanese have anotherwonderful decorative element - shishi odoshi (frightening deer). This kind of water from hollow bamboo stalk, on which the water runs. Purpose of the watercourse is fully reflected in its name. Far natural gardens, oncecaptured the imagination of the British colonialists, found the original incarnation in their own space. 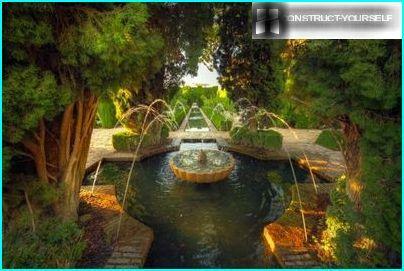 It thus appeared in England and settled down the landscape design of decorative ponds. It was here that this style, and reached its peak and recognition. English ponds - the embodiment of natural, cultural surrounded by moisture-loving plants. Usually ponds complement the colorful cascades and waterfalls. A distinctive feature of the German pondof vegetation on its banks. Usually this wild instead of garden plants. Decorated so ponds look remarkably attractive and the most natural. Conceptual and originality - is thatIt highlights a number of avant-garde style of the rest. 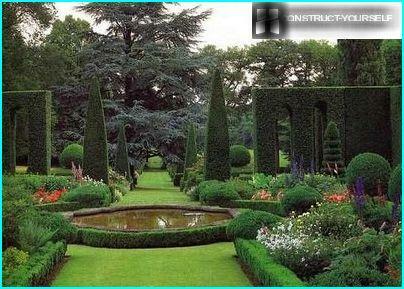 But to predict the shape of the pond and its avant-garde design in the garden is almost impossible. Here everything depends on the vision of the designer. The specialist can perform in a natural body of waterstyle, or give it a strict geometric shape. Moreover, the shape of the water facilities can be so intricate that it would be difficult even to identify it as a kind of reservoir or watercourse.